Once upon a time, there was a young girl named Donna. She lived at the edge of the Cultured Food Forest with her family. One morning, Donna went deep into the forest to gather berries for her Kefir Breakfast Pudding. It wasn’t long before she lost her way. Donna wasn’t scared though, and she loved a good adventure. She joyfully strolled through the forest while singing with the birds and watching the chipmunks jump from tree branch to tree branch. All of a sudden, she came upon a friendly little cottage in the distance. 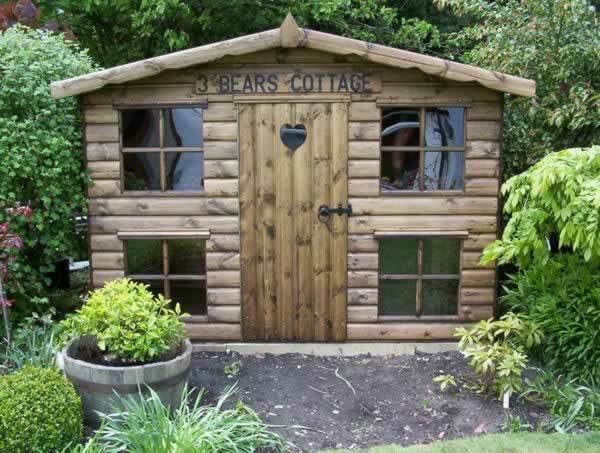 The cottage belonged to three bears: Papa Bear, Mama Bear, and Baby Bear. The Bears had just started learning about cultured foods. Even though they didn’t know much about these foods, the Bears knew that the best way to learn was to just dive in and start making them. The Bears had recently found Donna’s website, and had finished reading her free “Getting Started Guide” eBook. The Bears were so excited about the idea of living a healthier life that they had spent the entire week making kefir, kombucha, and cultured vegetables and watching Donna’s “The Trilogy” DVD. On this particular morning, the Bears went to the farmers market for fresh veggies and the Bears had just driven away when Donna approached the cottage. 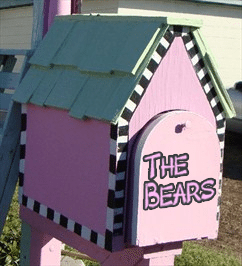 She was excited when she saw “The Bears” written on the mailbox. Donna recognized their name as one of her recent subscribers, so she knew that she could probably count on them to help her find her way home. Donna knocked on the door and it swung open a bit. (There were no locks in the Cultured Food Forest, since everyone who lived there was a friend.) As soon as the door opened, Donna’s senses perked up. She instantly recognized the familiar smells and sounds of food culturing in the kitchen. Donna went inside. However, what she loved even more than these jars was what she saw brewing inside them: kefir, kombucha, and cultured vegetables. Donna grinned from ear to ear. The Bears had made her favorite thing in the world: The Trilogy. All of a sudden, Donna realized how hungry she was from walking through the woods all morning. She just had to have a taste. 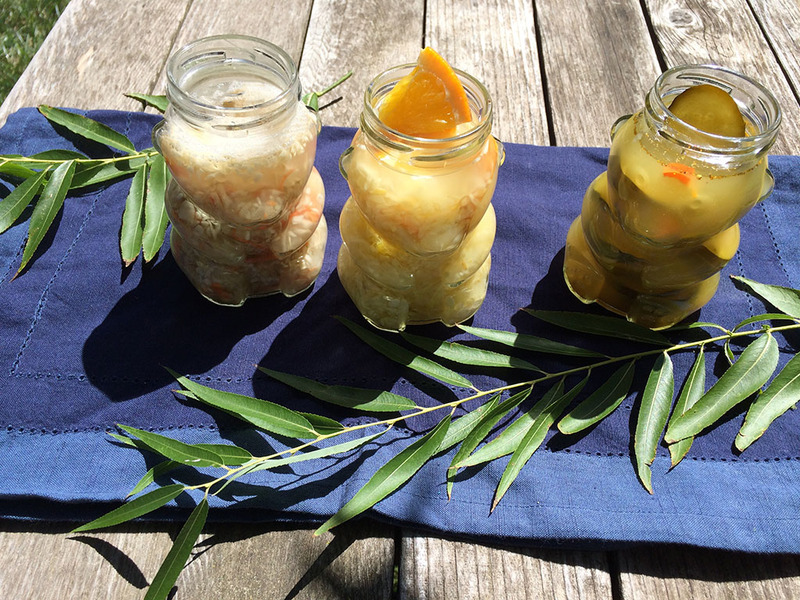 The first three jars contained kefir. Donna opened the first jar and took a sip. “Whoa!” Donna said, “This kefir is too sour!” It hadn’t gone bad, but it did taste a bit more sour than Donna preferred. 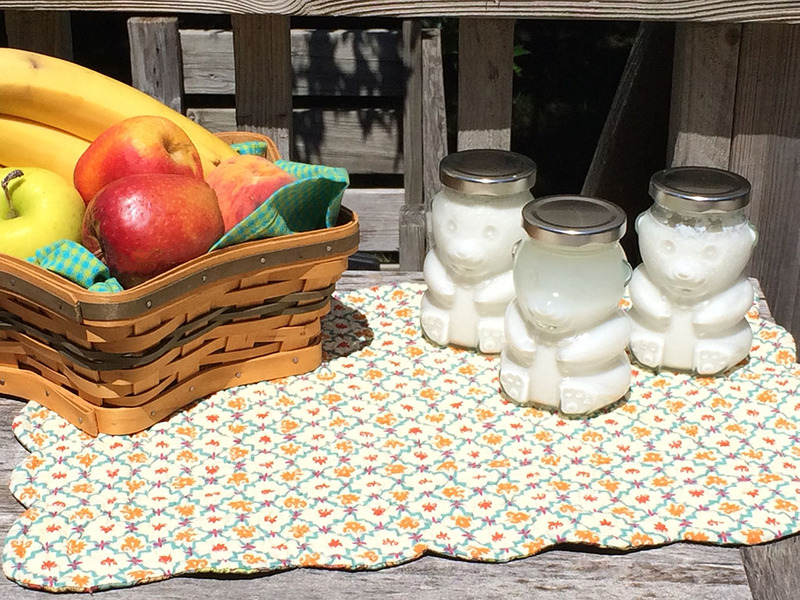 Donna thought that the Bears might enjoy reading her blog post that she wrote last year: “My Kefir Is Too Sour!! !” She wrote down the link on a sticky note and placed it on the jar. Donna looked at the next jar. She could see that the kefir had already separated into whey and curds. “This kefir is too separated,” Donna said. She figured that the Bears should read her blog post “The Thick and Thin of Kefir.” She put a sticky note with the link on that jar as well. Donna opened the third jar and took a sip. “Yummy!” she said. “This kefir is just right.” The kefir was thick, creamy, and tasted great. However, Donna knew that it could be better. She wrote down the link to How to Second Ferment Kefir. Donna knew that doing this would make the kefir taste even better and actually increase the nutrients. Donna found the next set of bear jars filled with kombucha. She took a sip and her face instantly puckered up. “This Kombucha is too sour!” she said. In fact, it almost tasted like vinegar. Donna quickly wrote down the link to her “Help! My Kombucha is Too Sour!” post. She needed something to get the sour taste out of her mouth, so she quickly opened the next jar and took a sip. This kombucha wasn’t nearly as sour as the first one, however Donna still frowned. You see, kombucha is a naturally carbonated drink. It’s supposed to make a hissing or popping sound when you open it because of all the bubbles that are trying to escape. Anyone who knows Donna knows that she LOVES bubbles. This kombucha had no carbonation and, therefore, no bubbles. Donna was not happy. 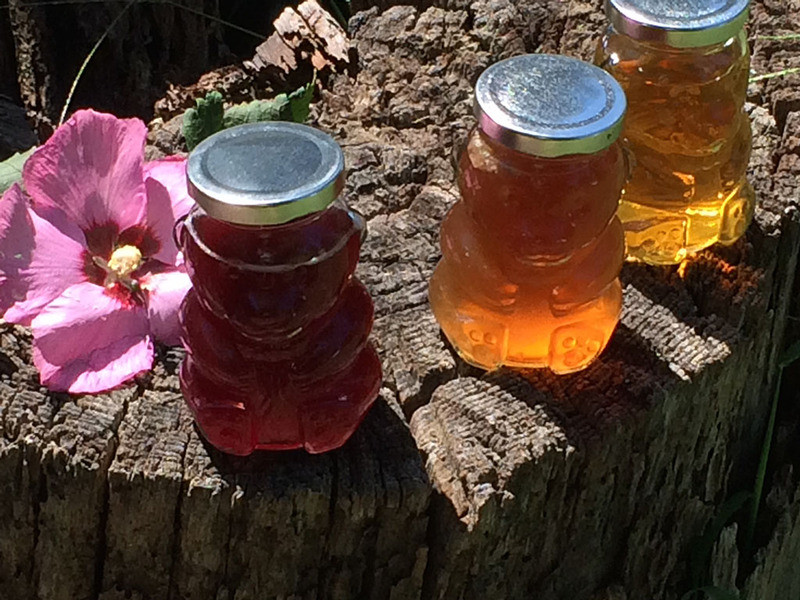 She said, “This kombucha is too flat.” She knew that the Bears needed to read her blog, My Kombucha’s Not Bubbly. Donna opened the third jar and smiled. This kombucha had good carbonation, and made a nice “psssssh” sound when she opened it. She watched the tiny bubbles dance around inside and then took a sip. “Yummy!” she said. “This kombucha is just right.” It wasn’t too sweet, wasn’t too sour, and the bubbles tickled her nose as she took another sip. However, Donna knew that it could be better. Even though Donna likes the taste of plain kombucha, she loves flavoring her kombucha with fruit juices. There are LOTS of ways to flavor kombucha. Flavoring kombucha with juice not only makes it taste better, but it also helps add more carbonation. Since more carbonation means more bubbles, Donna joyfully wrote down the link to her post How to Make Bubbly Fruit Flavored Kombucha. Donna then moved on to the last set of jars. These jars were filled with cultured vegetables. 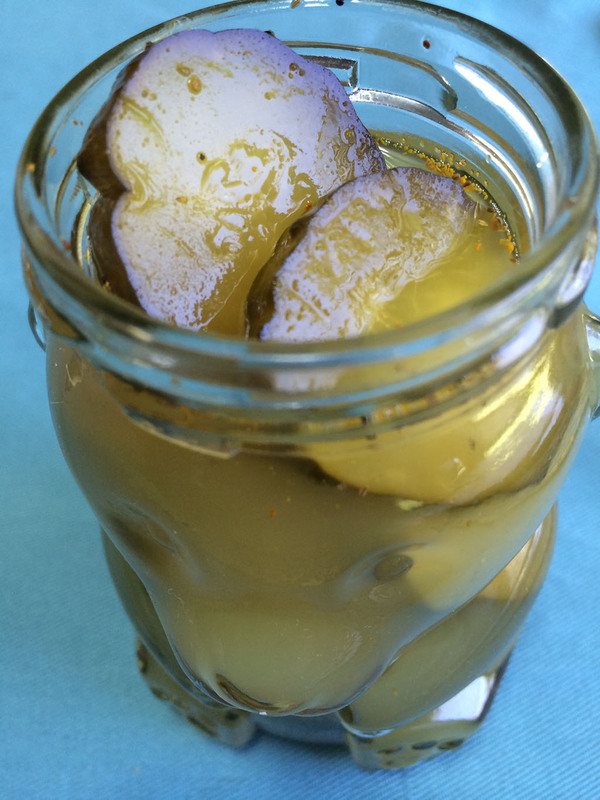 The first jar had Donna’s Dill Pickles in it. Donna loves this recipe because it is not only easy to make, but it’s also really good. She opened the jar and took a bite. Donna said, “These veggies are too mushy.” The pickles tasted really good, but the texture indeed was a bit mushy. Donna figured that the Bears must have forgotten to add salt to the recipe. She knew that adding Celtic Sea Salt helps to keep cultured veggies nice and crunchy. She also has a special pickle recipe that can make these pickles super crunchy. She wrote the Bears a note telling them so. The next jar had what appeared to be Shelley’s Cultured Veggies. Donna noticed that some of the veggies had floated to the top of the jar above the water. There was a layer of what looked like mold that had formed on top. “These veggies have a yeast on top that people think is mold,” she said. Donna wasn’t worried though. She knew that this yeast was harmless, so she simply scraped off the yeast and pushed the veggies back down under the water. She left a note for the Bears letting them know what she did. She told them not to be concerned about the substance on the top of their veggies, but that it was important to check the veggies every day to make sure they stay under the water. If the veggies float back up and yeast forms, just scrape it off so that it doesn’t spoil the flavor of the veggies, and then push the veggies back down under the water. Donna was excited when she opened the last jar. It had Orangeade Kraut inside. It’s Donna’s favorite cultured veggie recipe. Donna took a big bite. “Yummy!” she said. “These cultured veggies are just right.” Still, Donna knew that they could be better. You see, all of these veggie jars had solid lids on them. This is perfectly fine for making cultured veggies. However, Donna has learned over the years that if you use an airlock system when making cultured veggies, they tend to taste even better. The airlock isn’t absolutely necessary, but it does help different gases to escape during the fermenting process. Donna explained all of this in her final note to the Bears, and included a link to her online store. Just as Donna was about to leave, the Bears came home. Everyone was quite surprised! Donna apologized to the bears for eating the cultured foods without permission, but they just laughed and told her that all was forgiven. They were delighted to find Donna in their home, and they said they felt like they had known her for years. Donna told them how proud she was that the Bears had made all of these wonderful foods on their own, and she showed them all the notes that she wrote about how to make them even better. The bears asked Donna if she was planning on teaching any cultured food classes. Donna told them about her upcoming class in New York City (Click here for details) The Bears said that they probably wouldn’t be welcome in NYC, since they are bears after all, and some people freak out over the silliest of things. Donna agreed, so she suggested that they consider becoming Biotic Pro members on Donna’s membership site. Donna told them about the dozens of videos that she has on there, as well as access to Donna’s online forum. The Bears told Donna that they would definitely consider it. The Bears offered to give Donna a ride home, which Donna gratefully accepted. When they arrived back at Donna’s house, Donna told them to wait there one minute. Donna ran inside, then back out. She was holding a copy of her book, “Cultured Food for Life.” Donna gratefully presented it to her new friends and told them that this book would help them on their journey. She showed them the 100+ cultured food recipes inside, and showed them the yummy pictures of some of her recipes. They all hugged one last time and said goodbye. Donna watched her new friends drive off, back into the Cultured Food Forest. Then Donna went inside, got herself a big bowl of Kefir Breakfast Pudding, and poured fresh berries (courtesy of Mama Bear) on top. Then she sat down in front of her iMac, put on some music, and wrote down the story of her adventure. 12 Responses to "Donna and the Three Bears"
Are you going to be selling the jars on your site?! No I’m not at the present. I loved your three bear story! Clever!! I have been wanting to ask you about my sauerkraut. Once or twice it has been crisp, but three or four batches have been soft and sort of mushy. I know you say that salt is the key and I have used sea salt, though it has been Mediterranean. I loved the crunch of the two batches that were how I think they should be. And I also used the kefir whey with them. Any suggestions? Don’t use to much kefir whey because it can keep make the veggies mushy. Caldwell’s works much better as does the airlocks fermenting jars. If your book is as great as this post I’m sure it’s great, but unfortunately more than I can afford, I do love your information here though, I’m culturing yogurt, WK, MK, and kombucha, the only one I’m having issues with is the water kefir, it always seems to strong I need to figure out the correct fermenting time, I’ve been working on it for only a little over a week though so it’ll take awhile i’m sure. 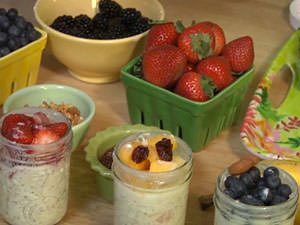 In your Kefir Breakfast Pudding, is the oatmeal you add supposed to be cooked or raw? I assume it is cooked. 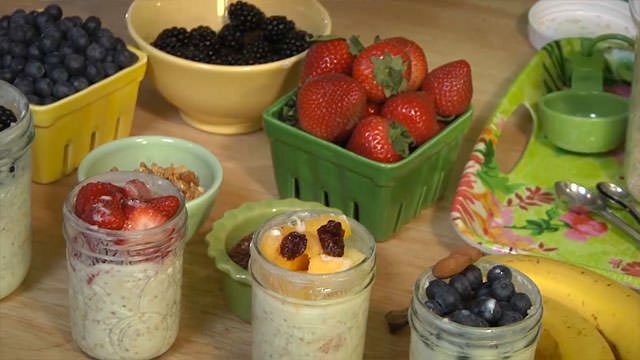 I can’t imagine adding raw steel cut oats. Thanks for the clarification. It is raw and delicious. Hi Donna, I have a problem with my cultured garlic that doesn’t seem to be mentioned here. It was my first attempt at culturing vegetables, and something is wrong. I used your recipe with the whey instead of the vegetable culture. I also added some pickling spice. I let the garlic jars stand on my counter for five days before refrigerating, and then I placed them in the fridge. I made sure each day that the garlic was under the water. I tried one of the cloves and it was incredibly hot tasting. Very, very acidic. I don’t know why I didn’t spit it out, but I didn’t – I swallowed it, and it burned all the way down. Then it made my stomach burn. About four hours later I experienced some rather nasty intestinal difficulties. What did I do wrong? Does it need to age in the refrigerator for a certain period of time before eating, or are all of my jars of cultured garlic toxic? I would only ferment it for two to three days and yes garlic that is raw and fermented can get really hot and almost spicy especially if the garlic isn’t fresh. What an adventure you had Goldilocks. I was reminded of all your tips and help with cultured foods as you helped the 3 bears with theirs. What a fun innovative story that I’m sure we will all remember. 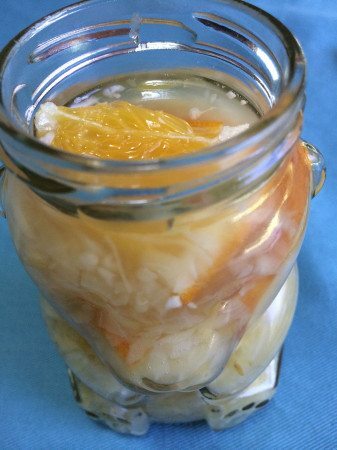 You also inspired me get started on culturing some vegetables and make some Kefir Breakfast pudding. Donna. Such a cleaver and ingenious way of delivering information. People love stories and will be able to remember much of the wonderful information you have provided by telling us of your adventure with the Three Bears. Very Good!